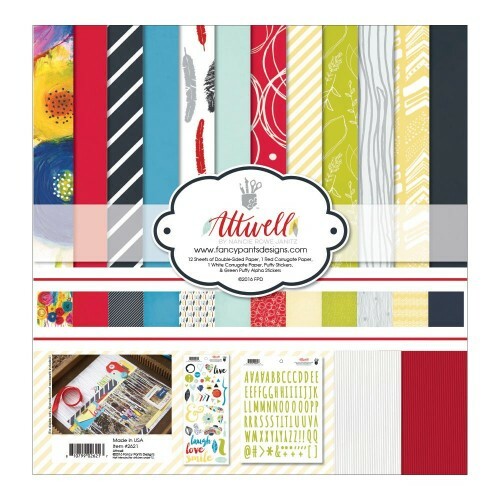 Fancy Pants-Attwell Collection Kit. The perfect addition to all your paper crafting projects! This package contains twelve 12x12 inch textured double-sided sheets with different designs on each, one 12x12 inch red corrugate paper , one 12x12 inch white corrugate paper, and two sticker sheets. 12 x 12" (30,5 x 30,5 cm). Acid and lignin free.